For the 76th consecutive year, the Office of Church Relations at Pepperdine University will host Harbor | The Pepperdine Bible Lectures across the Malibu campus. 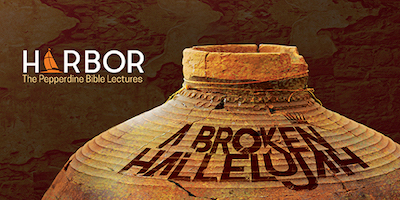 From Tuesday, April 30, through Friday, May 3, more than 200 speakers from around the nation will explore the 2019 theme, “A Broken Hallelujah,” with a special focus on the childhood, sins, battles, women, legend, and legacy of King David, the Bible’s most dynamic character. The annual event will commence with a night of music, comedy, and stories at Harbor Unplugged on April 30th at 9 PM. David Wolpe, author of David: The Divided Heart and senior rabbi at Sinai Temple in Los Angeles, will deliver this year’s keynote address on May 1 at 9:45 AM. Continuing the tradition of previous years, the Boone Center for the Family will also host a variety of lectures throughout the week, focusing this year on issues such as emotional abuse, the dynamics of stepfamilies, the influence of social media on relationships, gender identity, resilience, healing for veterans, and intimacy. For additional information about the lectures, including registration, housing accommodations, the full list of guest speakers, Spanish language sessions, special programs for children and teens, and the Boone Center track, visit the Harbor website.